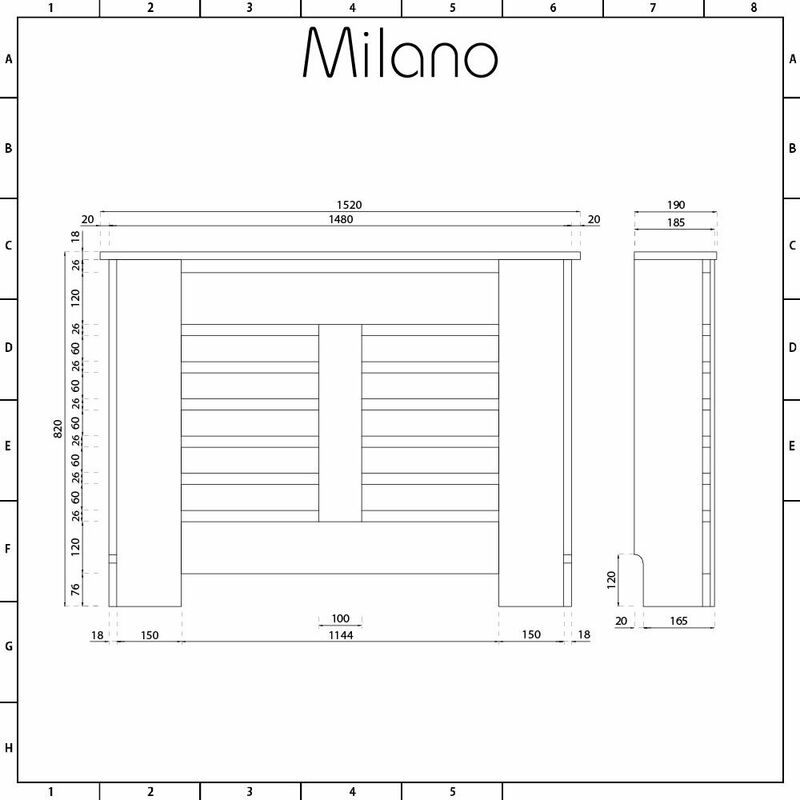 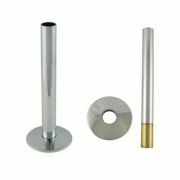 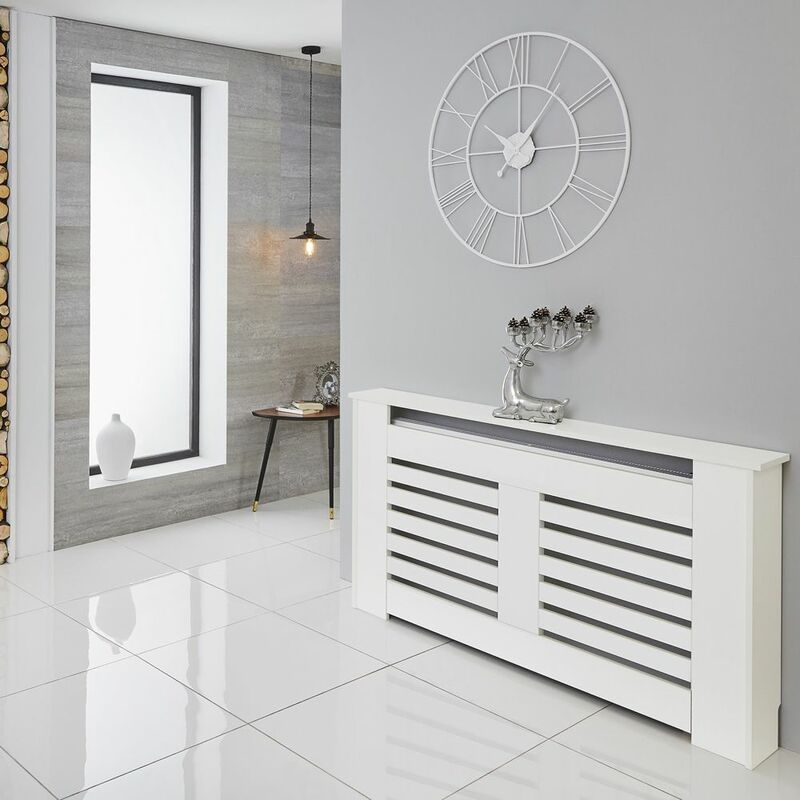 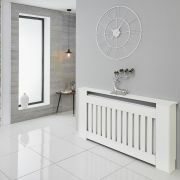 The Milano Elstree 820x1520mm radiator cabinet provides a stylish and practical way to subtly conceal and protect your radiator. 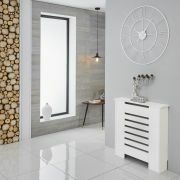 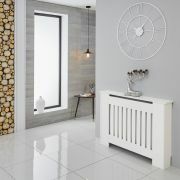 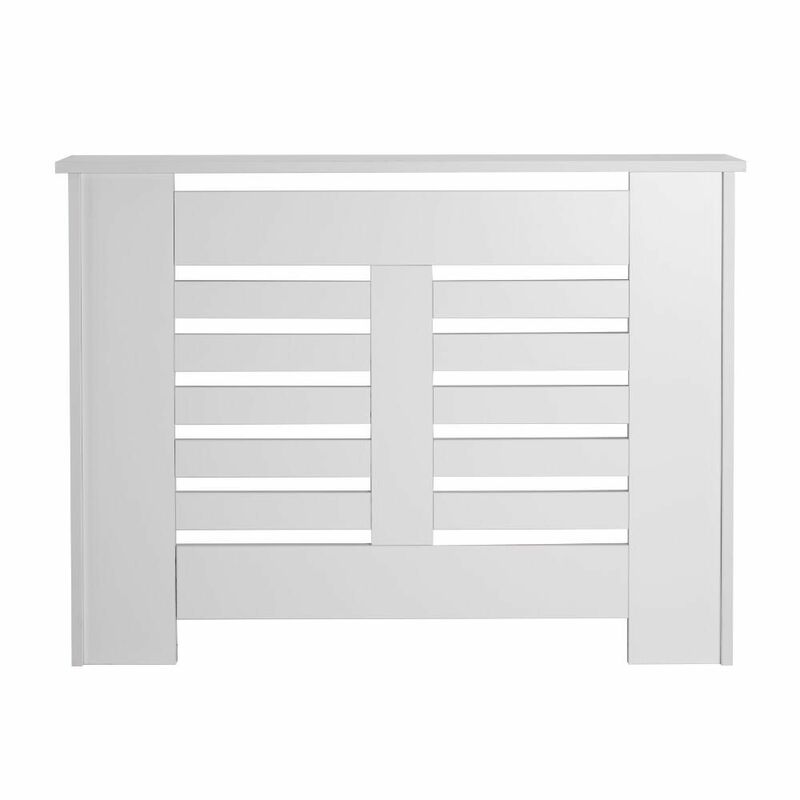 Made from MDF, this radiator cabinet features a modern design and a white finish. 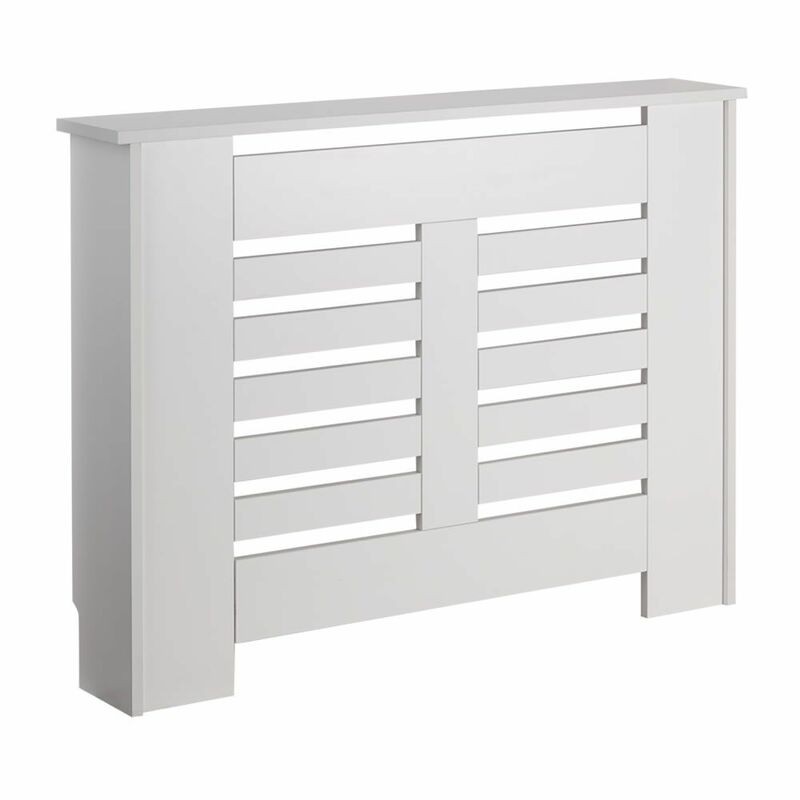 It has a handy shelf, that’s great for displaying decorative objects.